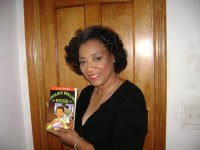 Arlene Jones - Featured Columnist Austin Weekly News: Watch out Folks - Now its the Drywall From China That Can Kill You! Watch out Folks - Now its the Drywall From China That Can Kill You! There was something that always bothered Rene Galvin when she walked in the front door of her new condo - an eye-watering, rotten egg smell that clung to the four walls and everything contained within them, from the furniture to her carpet and clothes. She could never quite put her finger on the cause of the foul odor that seemed to pervade every pore. "I'd just stand there, look around and say to myself: 'One day, I'll find out whatever it is that died inside these walls'," she says. But there were further problems to come; mirrors that corroded around the edges, drains that rusted on the baths, pitted faucets, the television, computer, dishwasher, coffee pot, telephones, and air-conditioning system that all inexplicably broke down. Even the treasured gold-dipped necklace she wore around her neck turned black. Then there were the headaches, throat and sinus troubles. "I had no idea what was going on. I thought 'Boy, the Florida air sure is bad'," she says with a wry laugh. Humor, though, is not something that comes easily these days when she talks about her $500,000 home in Bonita Springs, Florida, that now sits empty after it was found to contain contaminated drywall from China. The discovery of sulfur-emitting compounds within the imported construction materials has sparked a national investigation, numerous lawsuits, and a scandal that is feared to have affected as many as 100,000 homes, a majority so far in Florida. Reparations could run into the billions of dollars. So dire is the situation – with US suppliers and builders reluctant to take the heat, the overseas manufacturer resisting liability, and insurance companies denying claims, while victims are faced with having their homes gutted if not entirely bulldozed – that lawmakers are pushing for a state of emergency to be declared in Florida, to start the flow of federal financial aid. "This is an acute and growing crisis," US Rep. Robert Wexler (D) urged the state's governor, Charlie Crist, in a letter, noting serious health and safety implications. "This is a significant statewide problem whose devastating impact on families and our state is similar to a natural disaster such as a hurricane, fire or flood." Over 500 million pounds of drywall were imported from China between 2004 and 2007 when the construction boom was at a peak and domestic materials in short supply, with demand exacerbated by the reconstruction programs that followed hurricanes Katrina and Wilma. Knauf Tianjin – the main Chinese manufacturer so far singled out for blame – says it was responsible for only around 20 per cent of that supply, and the firm complains that because it was the only company that stamped its name on its product that it is being unfairly targeted. Laboratory tests carried out for Florida's Department of Health showed that samples of Chinese-made drywall - including Knauf's - contained strontium sulfide, which gives a rotten egg odor when moistened and reacts with hydrogen in the air to take on corrosive powers capable of eating through metals and electrical wires. "This is a noxious, pungent chemical compound. If it can corrode metals in your house, I hate to think what it's doing to residents and their children and pets," said Jordan Chaikin of Florida legal firm Parker Waichman Alonso, which has launched a federal class-action lawsuit against Knauf in the US District Court in Fort Myers. "People are stuck with these homes, they can't afford to leave, they put their life's savings into them or they're mortgaged and they're turning to builders for help," he said. "But in some cases builders have filed Chapter 11 bankruptcy so there can be no claims against them. Some homes need to be bulldozed, in other cases gutted entirely, and that's very expensive for builders." The crisis has woven a tangled economic and legal web. Among the builders on the receiving end of consumers' wrath is Lennar Homes of Miami, which has identified tainted drywall in over 80 of its properties and has pledged to pay the costs of replacing it and relocating residents in the interim. Lennar Homes is the subject of some lawsuits. But, in turn, it has launched a suit itself against Knauf and another Chinese drywall manufacturer, Taishan Gypsum. It is also suing independent US contractors for installing the defective product in Lennar homes. "They have refused to take responsibility for their defective product, leaving us no other option but to seek redress in a court of law," the company asserted in a written statement. "The builders are victims too," says Howard Ehrsam, a civil engineer who founded Chinese Drywall Screening, of Port St Lucie, Florida, to meet growing demand from homeowners for diagnosis and advice. Insurance companies "don't know what to do," he says, since contaminated drywall counts neither as a covered peril nor as an exclusion. "Meanwhile you've got the manufacturer, the supplier, the builder, the installer ... a whole chain of custody, so for an attorney it's a case of 'Woo-hoo, we've got all these layers we can sue.'" He adds: "I've never seen a crisis in the construction industry to this degree ... this is widespread and far-reaching." For many affected by the contamination scandal, or striving to bring resolution, there is anger and frustration that this is just the latest in a series of health and safety scares relating to imported Chinese goods. Toxic baby toys, tainted animal feed and toothpaste, hazardous high-chairs, and infant formula contaminated with melamine have all been the focus of product recalls or warnings over the past 18 months. "We need stronger and better quality control coming out of China," says attorney Ervin Gonzalez of Miami, who is suing Knauf on behalf of 150 drywall victims. "And if China isn't doing it, the countries buying from them need to do a better job themselves." Amid questions as to why it has not done a better job of screening imports for dangerous defects, the US Consumer Product Safety Commission, a federal body charged with protecting the public from such risks, is now mounting an investigation into the drywall issue. It has dispatched toxicologists, electrical engineers, and compliance staff to Florida to speak with victims and take samples from their homes. "We are working towards initiating a testing program and liaising very closely with federal parties and state departments of health," says spokesman Scott Wolfson. "We are following the facts." In recent months, the commission has also started posting staff at US ports to work alongside customs officials in scrutinizing imports more closely. "Now we have the ability to focus on looking at where these products come in, and what can we be doing better to look at their quality and safety," says Mr Wolfson. For a while, Mrs Galvin lodged with friends and at hotels until moving to New Jersey while still struggling to pay the mortgage on her uninhabitable condo in Florida. She owns a boutique in Atlantic City and has cleared out all items marked "Made in China" from her inventory. New additions to her stock include T-shirts that she has had printed with the words: "No more toxins from China." "This whole problem has wiped people out, both economically and emotionally," she says. "We don't know what to do, we can't get answers and the banks still want their mortgage money. But at least now I know I'm not allergic to Florida; I was just being poisoned by my house."